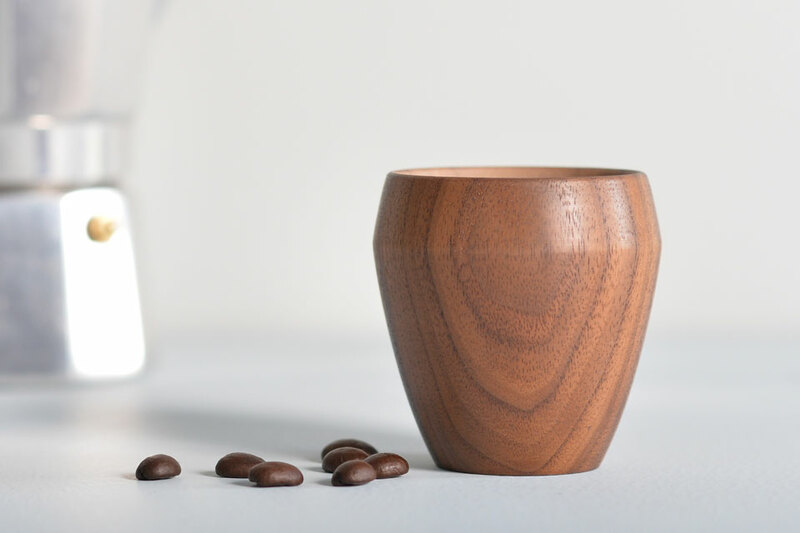 The design for this cup grew out of a love for good espresso and the curious idea of enhancing its flavour, similar to the process of ageing fine single malt whiskey. 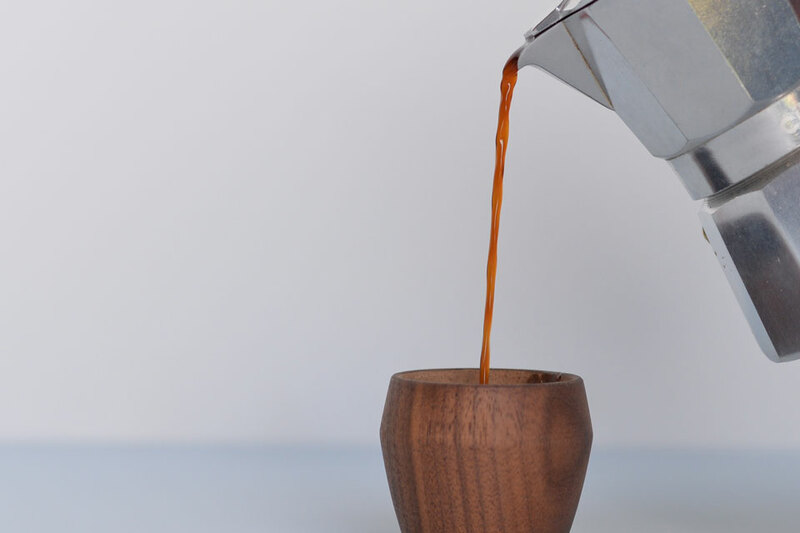 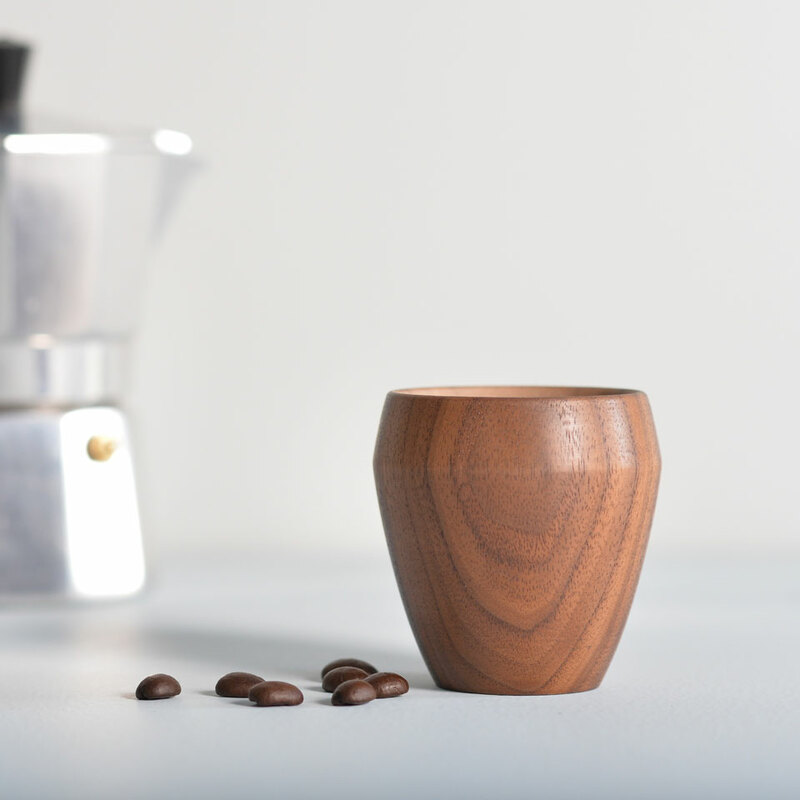 The result: a simple and ergonomic espresso cup, made from a single block of walnut. 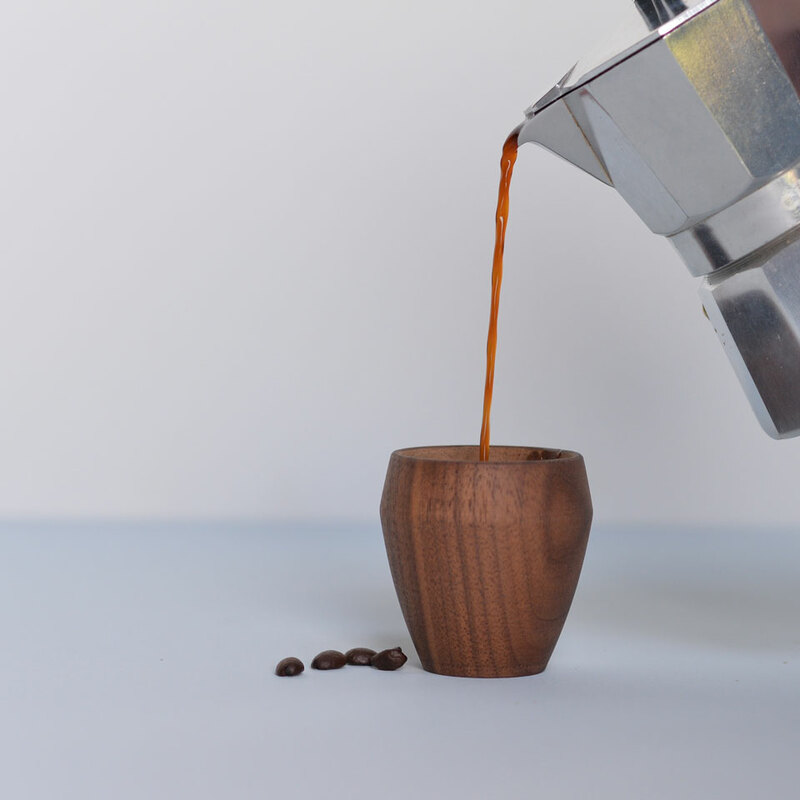 The outside is sealed with linseed oil, while the inside is intentionally left unfinished, as the continuous use of fresh espresso seasons the walnut and builds up a deep patina, adding to a rich aroma. 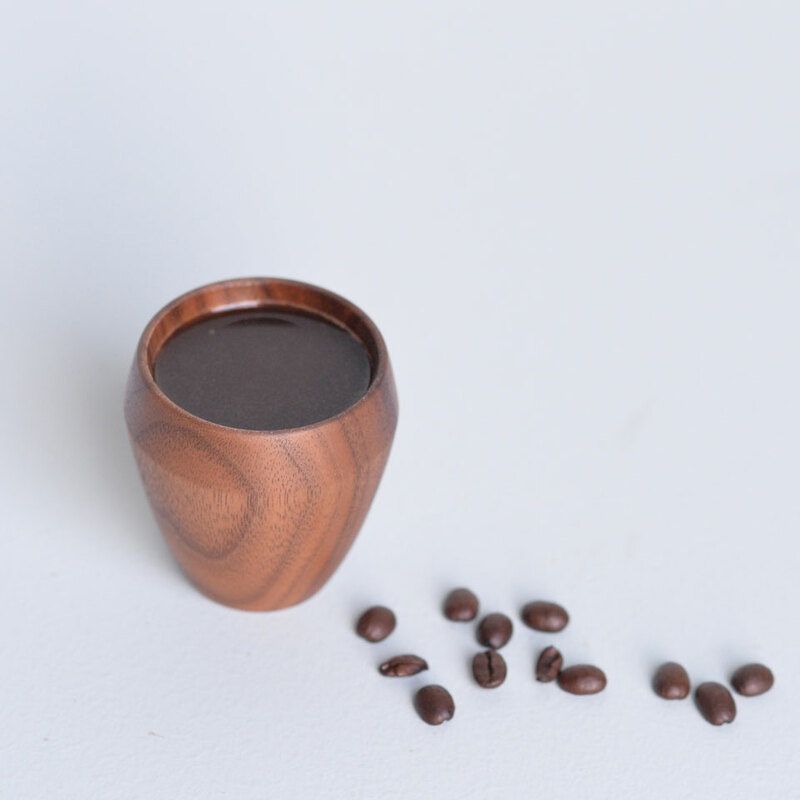 The tactile marbling grain of the walnut and delicate rim of the cup, together with the silkiness of the oil-finish enriches the espresso-drinking experience. 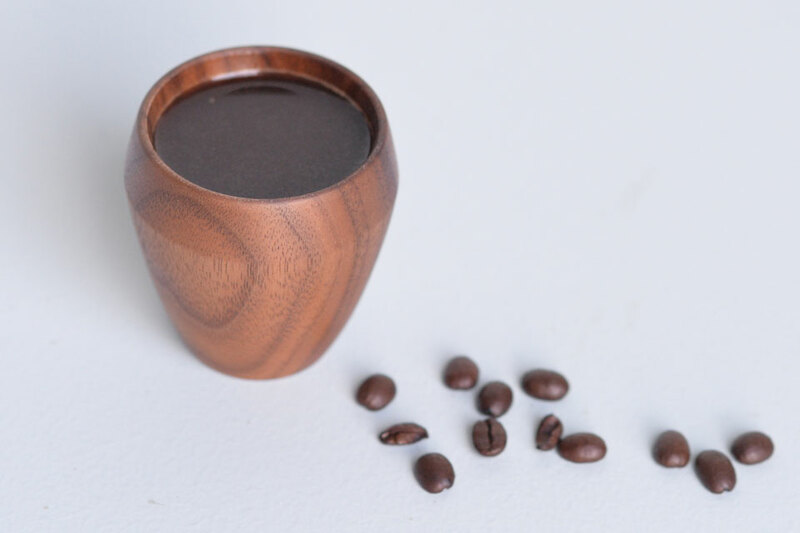 Wood has both low heat conduct and heat retention properties, which helps keeping the espresso hot inside the cup, while users can comfortably hold it.